Dr. Dominic Benford is the Program Scientist for WFIRST, the Wide Field Infrared Survey Telescope, the Decadal Survey-recommended mission to conduct major surveys in the near-infrared to answer fundamental questions of the nature of dark energy, the distribution of dark matter, the occurrence of planets around other stars, and even to enable the direct imaging of planetary systems. See https://wfirst.gsfc.nasa.gov for more information. He also has roles in other long wavelength astrophysics activities such as the Origins Space Telescope (OST) and technology development. Previously, Dr. Benford was the Chief Scientist for the Cosmic Origins Program Office (cor.gsfc.nasa.gov), where he was responsible for the scientific planning for and execution of future Cosmic Origins missions and the development of their requisite technologies. He was the Deputy Mission Scientist for WISE, the Wide-field Infrared Survey Explorer, working with Ned Wright (UCLA) to produce a rich sky survey at mid-infrared wavelengths. Dr. Benford was the Deputy PI of the Destiny mission with Tod Lauer (NOAO) to characterize dark energy, and served on the JDEM SCG and ISWG, which ultimately led to WFIRST. He has led and participated in several mission concept studies, including the SAFIR Vision Mission which ultimately led to the OST, and also SPIRIT, SPECS, and FKSI. He was also the Institutional PI for the SOFIA instrument upgrade HAWC+, providing the community with differential polarimetric imaging at far-infrared wavelengths. He was heavily involved in developing far-infrared interferometry with the BETTII balloon-borne experiment (asd.gsfc.nasa.gov/bettii/), and in supporting cosmic microwave background polarimetry with the PIPER experiment. 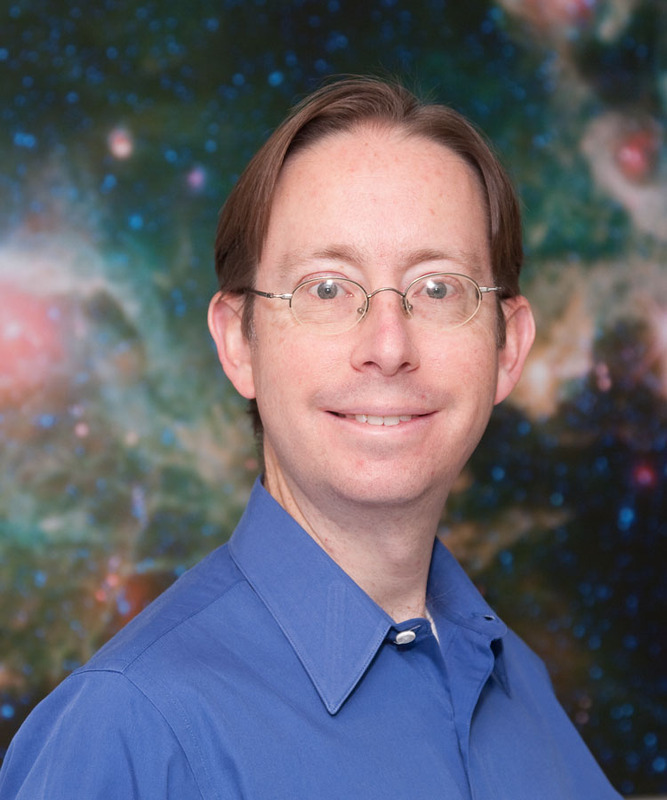 Dr. Benford's astronomical research interests are in extragalactic astrophysics and cosmology, with an emphasis on the formation and evolution of galaxies and their stars. His primary technology research background is in the development of instrumentation for far-infrared and submillimeter astronomy and supporting technologies. Dr. Benford joined NASA at the Goddard Space Flight Center in Greenbelt, Maryland in 2001, where he had been a National Research Council postdoctoral fellow with Harvey Moseley. He earned the Ph. D. degree from the California Institute of Technology in 1999 under the supervision of Tom Phillips, and the B. A. degree from the University of California at Berkeley in 1992 working for Paul Richards. Dr. Benford has been at NASA Headquarters in the Astrophysics Division since 2013. His Erdös number is no more than three, his Zwicky number is two, his Einstein number is no more than four, but his Bacon number is still undefined.